Bedford-Stuyvesant's Bainbridge Street between Stuyvesant Avenue and Malcolm X Boulevard. The neighborhood is one of the most popular for recent grads. BROOKLYN — Even though apartments here are prohibitively expensive for many newly minted college grads, that isn’t stopping the Class of 2017 from trying. New York remains the No. 1 city where graduates would like to move, according to a study released earlier this month from Accenture, surveying more than 1,000 students who will be graduating in 2017, and 1,000 students who graduated from college in 2015 and 2016. Roughly 44 percent of grads across the United States said they’d like to move to New York. This first crop of Generation Z graduates — those born between 1993 and 1999 — think they may be able to afford more than they will likely be able to pay in reality. The Accenture report noted that 69 percent of 2017 grads expect to make more than $35,000 in their entry-level jobs, but only 49 percent of the 2015 and 2016 grads earned more than that amount. So where will these new grads live? Real estate search engine StreetEasy crunched the numbers, looking at the median entry-level income of all occupations in New York state —$47,630 — and basing affordability on the standard accepted practice of spending only 30 percent of income on rent. With that income, that would translate to about $1,190 a month. Recent grads moving to New York should be prepared to have roommates: Only 0.4 percent of studio and one-bedroom listings on StreetEasy last year were affordable to graduates earning the median income for entry level jobs. But for those willing to take on a roommate — with the same income and sticking with the same budget — the options vastly expand. Nearly 30 percent of two-bedrooms in the city would be considered affordable, according to StreetEasy, which made an interactive map where you can plug in your income and number of desired bedrooms to find a matching neighborhood. The most expensive neighborhood for room rentals in the first quarter of this year was Long Island City, with average prices topping $2,500 a month — a 34 percent increase from the same time a year ago, SpareRoom found. In Manhattan, Harlem’s rent grew faster than other neighborhoods in the borough, rising 7 percent to $1,180 a month. In Brooklyn, the Flatbush/Ditmas Park/Midwood area saw a nearly 20 percent jump in price to $928 a month. “Rents are rising faster in traditionally cheaper areas than in expensive neighborhoods, making the whole of New York City less affordable for people on lower incomes,” SpareRoom Director Matt Hutchinson said in a statement. New grads often start out with a long list of wants. They want newly renovated units with nice kitchens, a lot of amenities, a doorman and the ability to walk to their new jobs. Once they start seeing Manhattan apartments, where studios often cost more than $2,500 a month, they become more flexible on amenities and commute. The crop of recent grads flocking to the city these past few weeks seem to be more well-versed in the market than previous newcomers, said Kobi Lahav, of brokerage firm Mdrn. Residential. Many were aware that the rental market is softening and want apartments where landlords will pay the brokers fee, he noted. New grads who work with brokers generally fall into two camps, he said: those whose parents help pay for the apartment and those who are paying their own way but using their parents as guarantors — meaning their parents will vouch for their ability to pay the rents. Lahav said grads working in finance tend to pool their salaries together to get amenity-laden apartments with outdoor space. “They want a party apartment,” Lahav said. 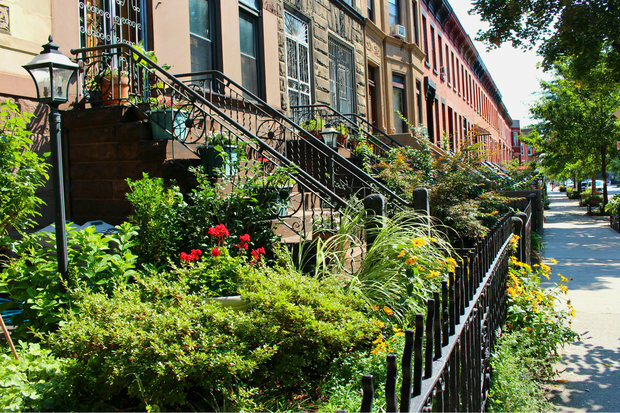 Renters who can afford once-hot areas like the East Village are now opting to go to Brooklyn neighborhoods like Buswhick and Downtown Brooklyn, he added. “It’s like, ‘I’m interesting. I’m living in Bushwick’." But Stan Broekhoven said brokers often still need to educate new grads on neighborhoods beyond SoHo and the West Village.